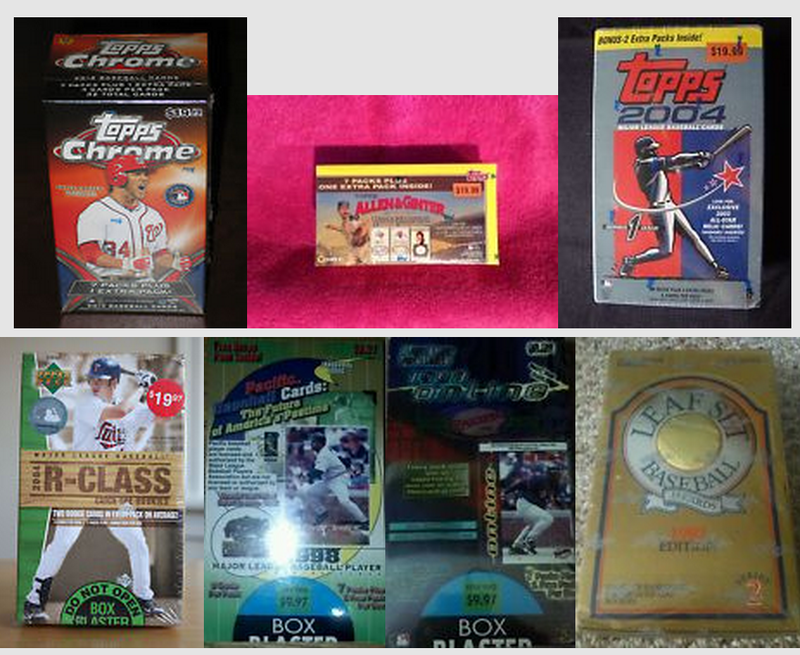 Indians Baseball Cards: Blaster Box Group Break happening tonight! I had seven people sign up, claiming 8 teams for the Blaster Box Break. Oh, I know, it is already 11:30pm CST on Saturday. Well, I decided I was too anxious to check out some of these boxes, so I am busting them tonight! There will be no video. Sorry. Instead, I will break each box and show off highlights, oddities, etc. As per the rules, all unclaimed teams will be divided among each slot taken (meaning Cattle Rustler gets two slots!). I will post each box as a separate entry on the blog, So keep watching! The only box that probably won't be fully busted tonight is the full box of Leaf. Then again, as the wee hours of the morning creep in, I may just have to take a break. We'll see how it goes!